Unlimited options: You may transform your vehicle with a wrap in virtually any way you’ve wanted it. 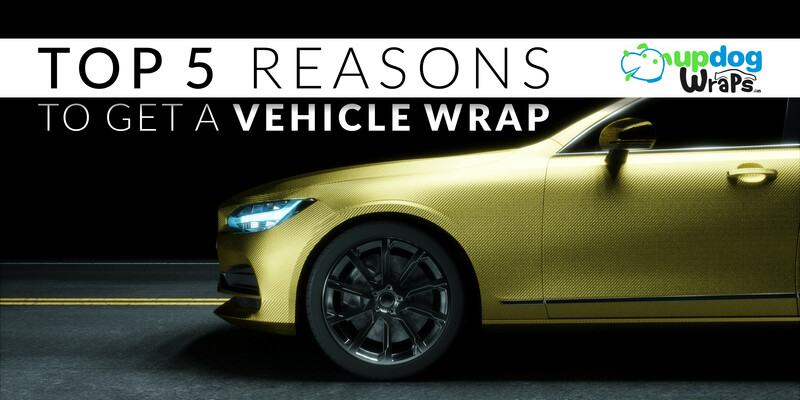 From all kinds of graphics to your choice of designs, the level of shine or type of matte to the entire colors palette and effects like carbon fiber, you can choose from a virtually unlimited choice of exterior looks with vehicle wraps. You can also hire professional designers and artists to create a one of a kind design for your vehicle wrap. Installation time: If you only have one vehicle, you’ll be grounded for weeks while your vehicle is in for a paint job. Most vehicle wrap installation companies can wrap your vehicle within 2 to 5 days at the most. Urgent requests can even be processed within a business day. Don’t let yourself be stranded while a regular paint job keeps your vehicle away for weeks. Depending on the detail you need, custom paint jobs can take much longer! Resale value: Custom paint jobs, lettering and numbering in paint can bring the value of your vehicle down considerably. Vehicle wraps keep the factory paint intact. It also acts as a shield to protect the factory paint from direct contact from weather and regular wear and tear. Vehicles with original paint have a very high resale value. Get your vehicle wrapped to keep its resale value high. Long Life: Vehicle wraps have a life span similar to a professional paint job. Good quality wraps can easily last 5 to 8 years without fading and peeling off. You may also remove your vehicle wrap at any point of time without any harmful effects to the paint. The Cost: Last but not the least, the cost of a vehicle wrap makes it a no brainer when compared with the cost of a paint job. While paint jobs can cost anywhere between $2000 and $10,000. The average cost of a high quality car wrap with custom design is around only $3000. UpDog creates wraps from motorcycles to big rigs and airplanes. Contact us to learn more about saving thousands of dollars on your next paint job.